No matter how many times I've watched a sunset, I will never tire of it. 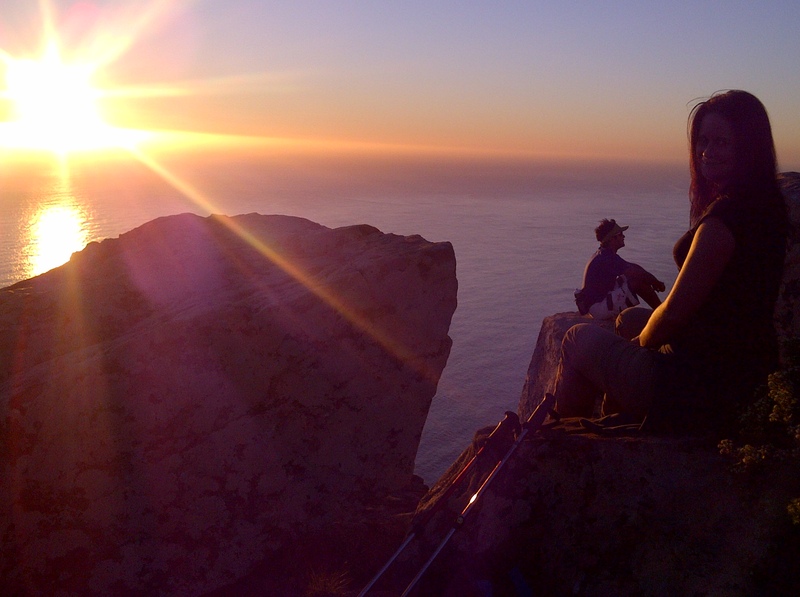 It really is almost impossible to watch a sunset and not to dream. 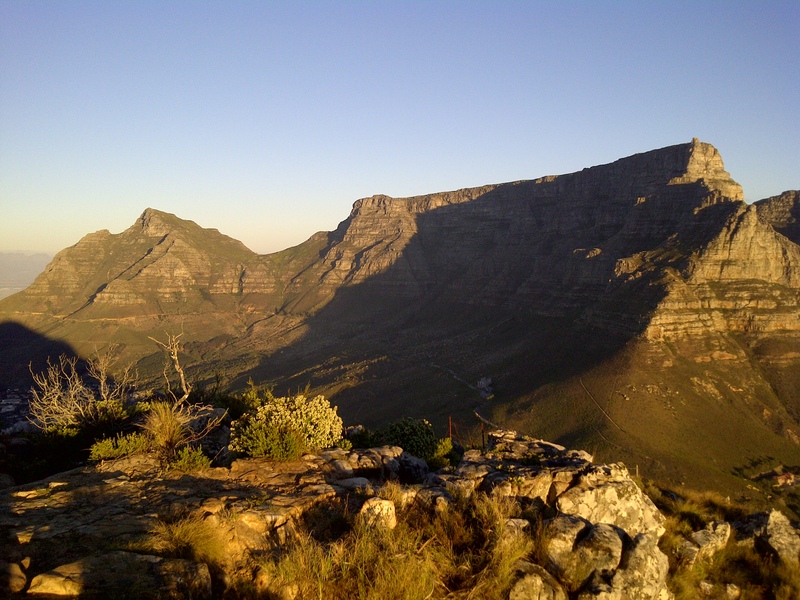 It was a gorgeous day in Cape Town and our mid-week training hike was calling. The howling South Easter wind that has been blowing for the last few days had subsided and the sun was warm on our skin as we headed out. 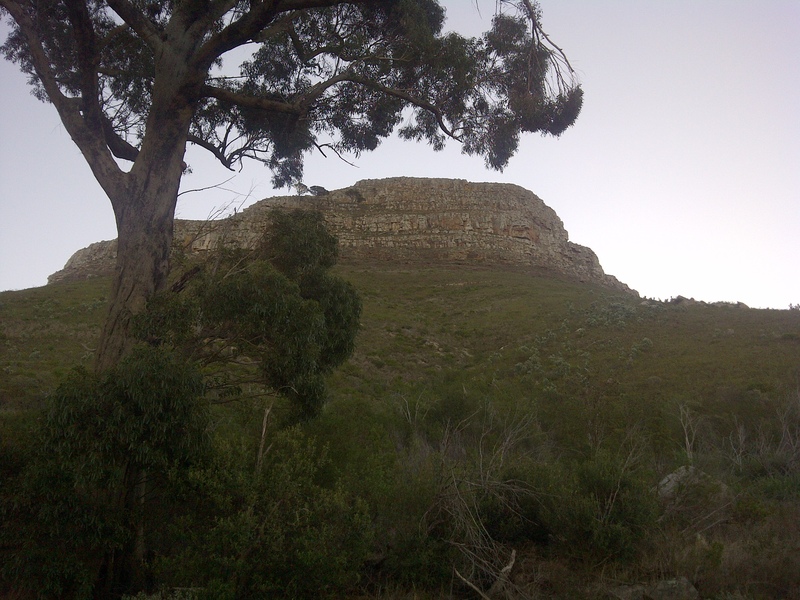 Enjoy some photo’s I took from our hike late yesterday afternoon. 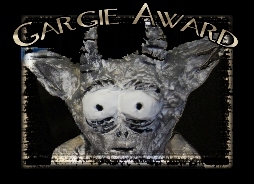 Please excuse the grainy night-time pics, my phone takes better quality photo’s by day! 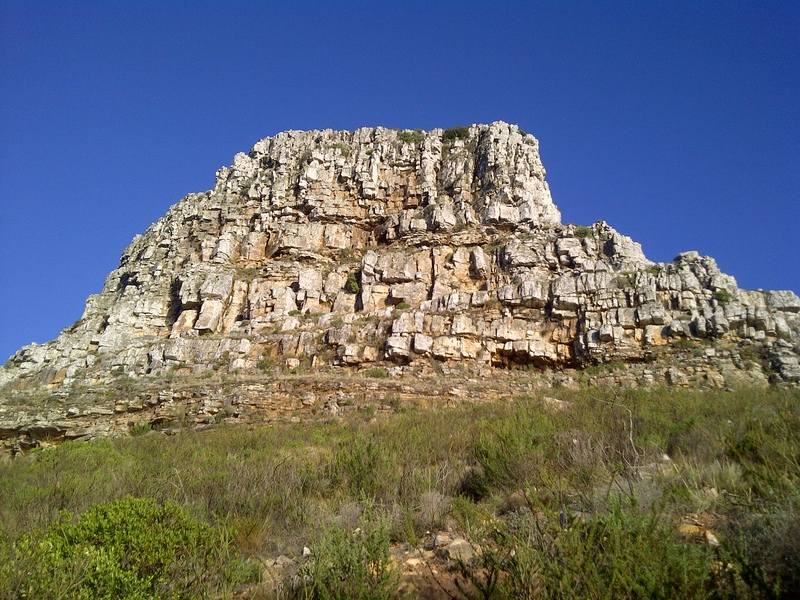 View of Lion's Head from the parking lot below. 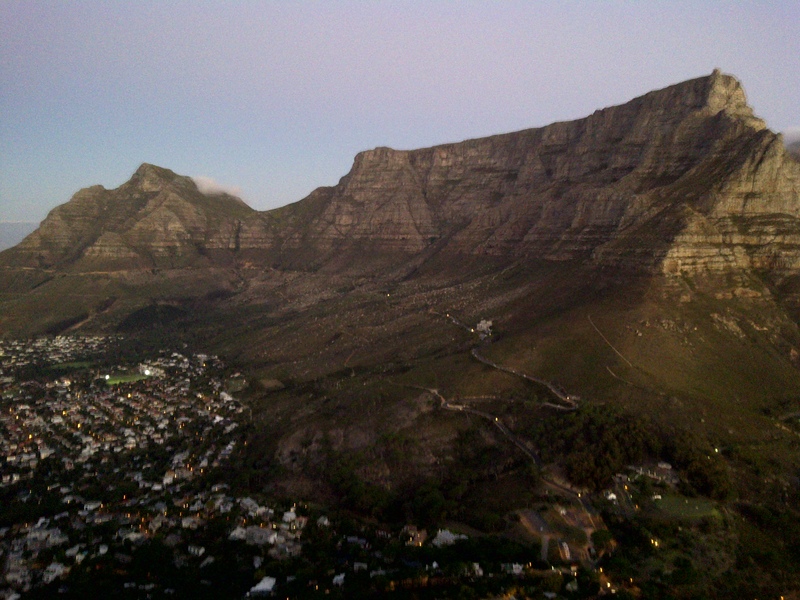 Table Mountain, our view on our way up Lion's Head, another view I will never tire of. 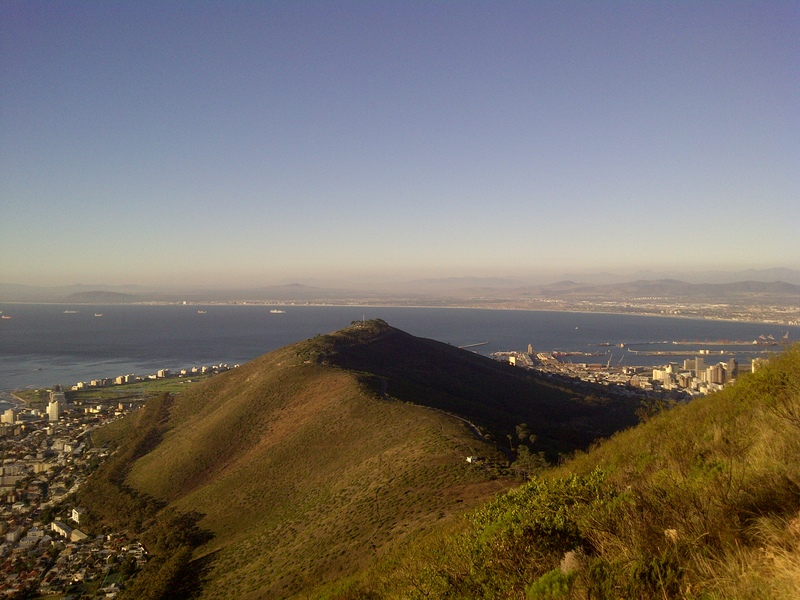 View of Signal Hill and the harbour in the distance. Half way up with a view of our destination, the top! 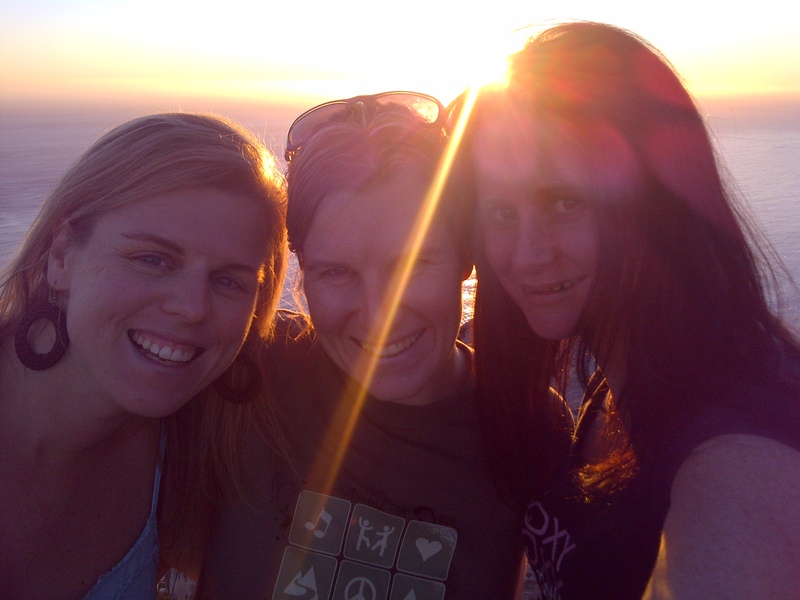 Standing on top of Lion's Head with the sun getting ready to set behind us. 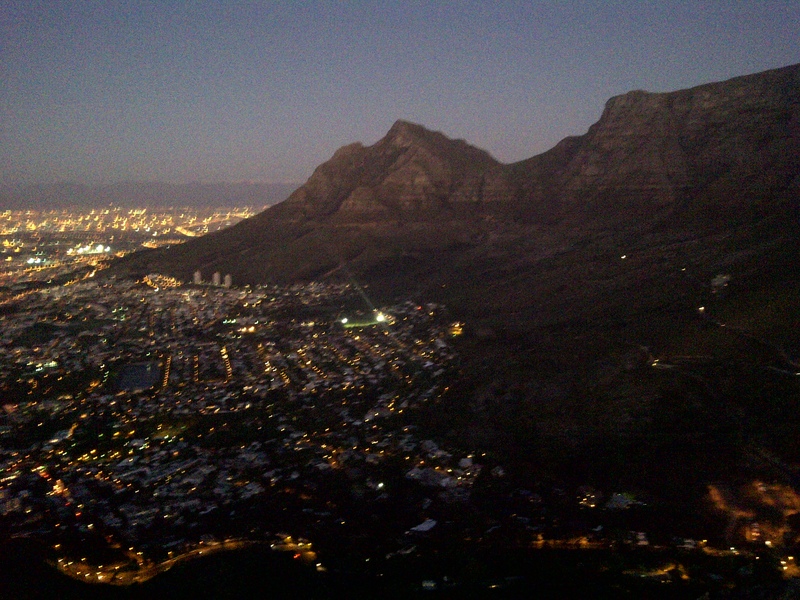 View of Signal Hill and the city below as the day light fades. 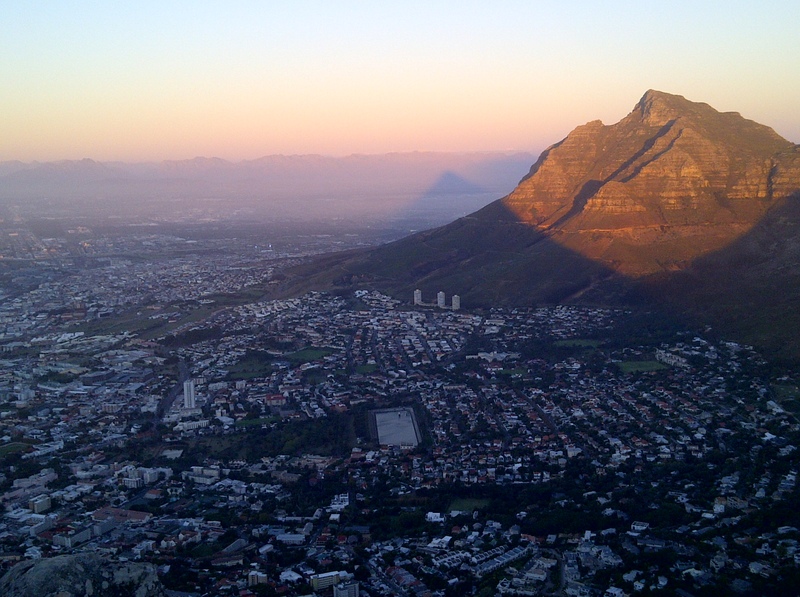 The shadow of Lion's Head cast across the bottom of Table Mountain. 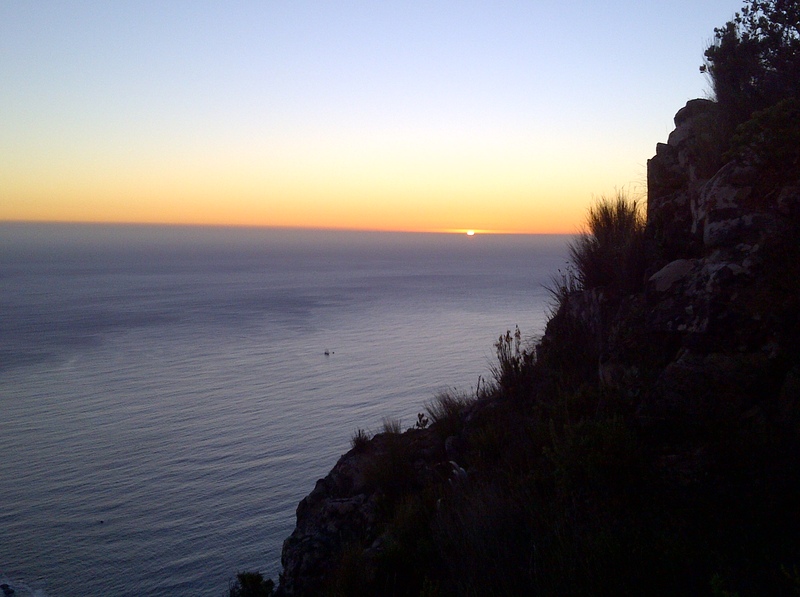 Watching the sunset on top of Lion's head ~ Nature is painting for us ... day after day ... pictures of infinite beauty. 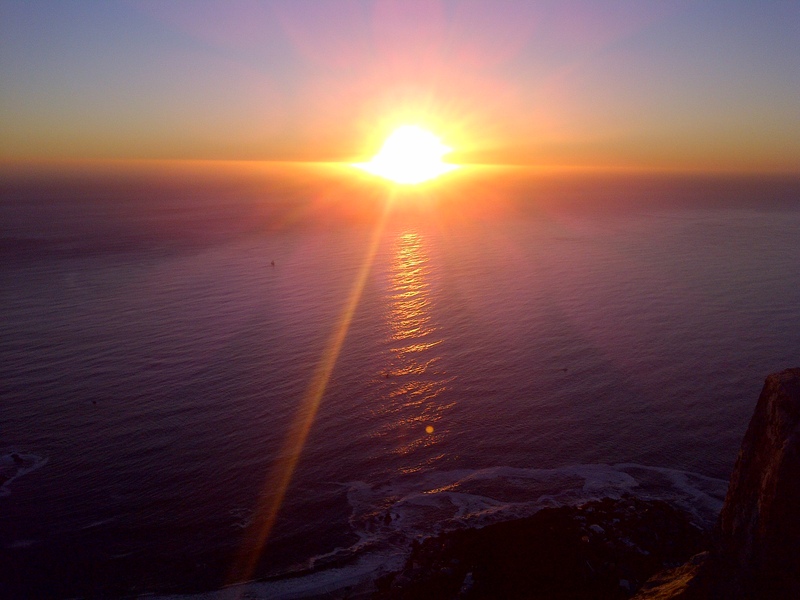 Watching the sun set over the Atlantic Ocean from the top of Lion's Head. Heading back down the mountain as the last of the sun sinks below the horizon. As the sun fades the city below comes alive. 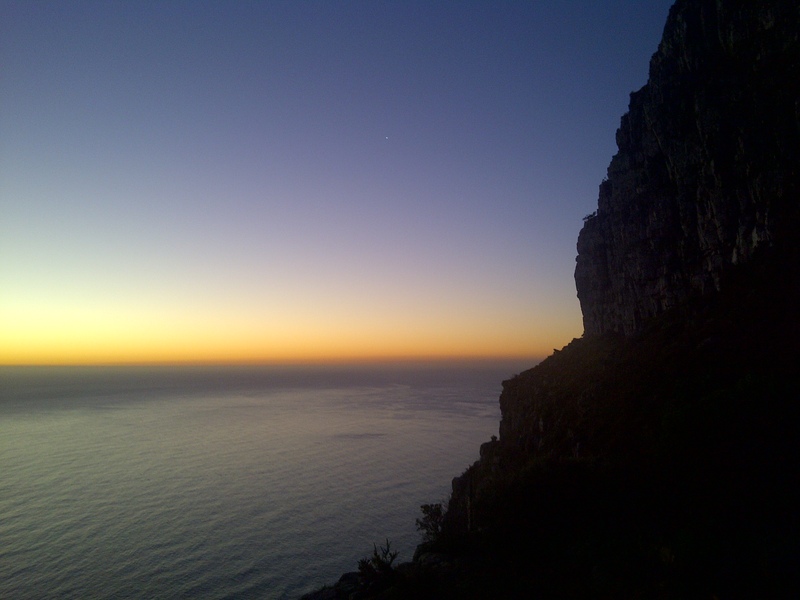 The first night star appears over the Atlantic Ocean. 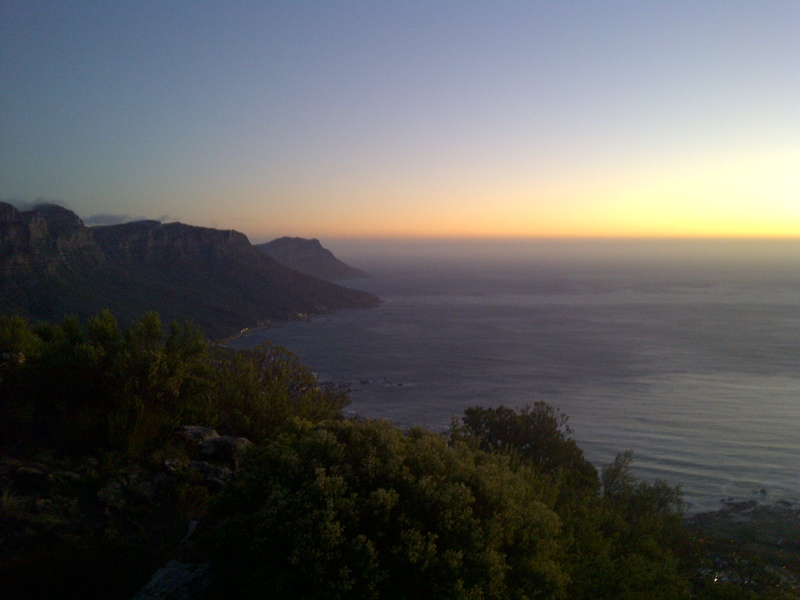 View of the Twelve Apostles in the fading light. 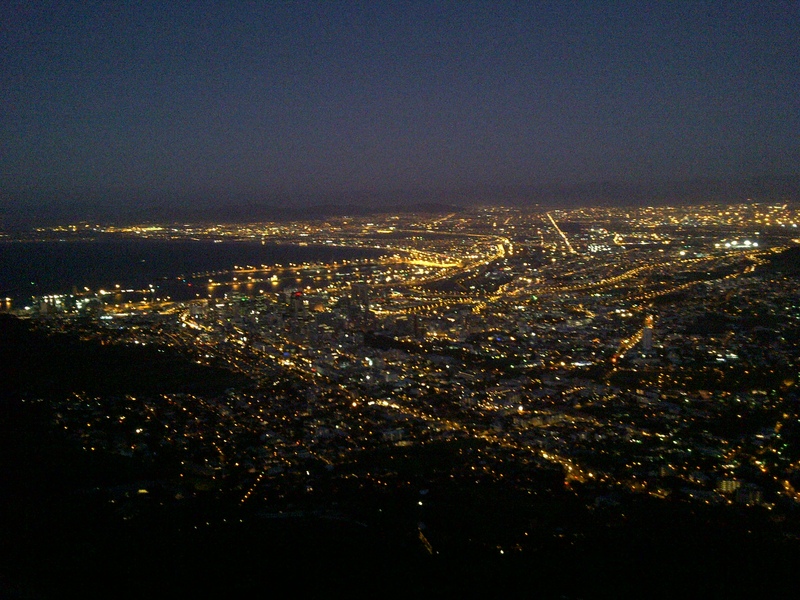 The city below turning on its night lights. 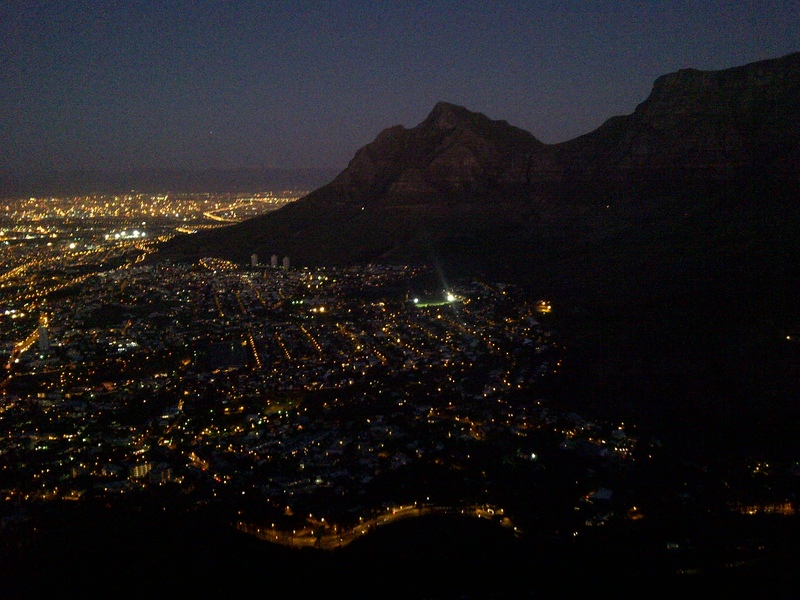 Table Mountain silhouetted by night sky. 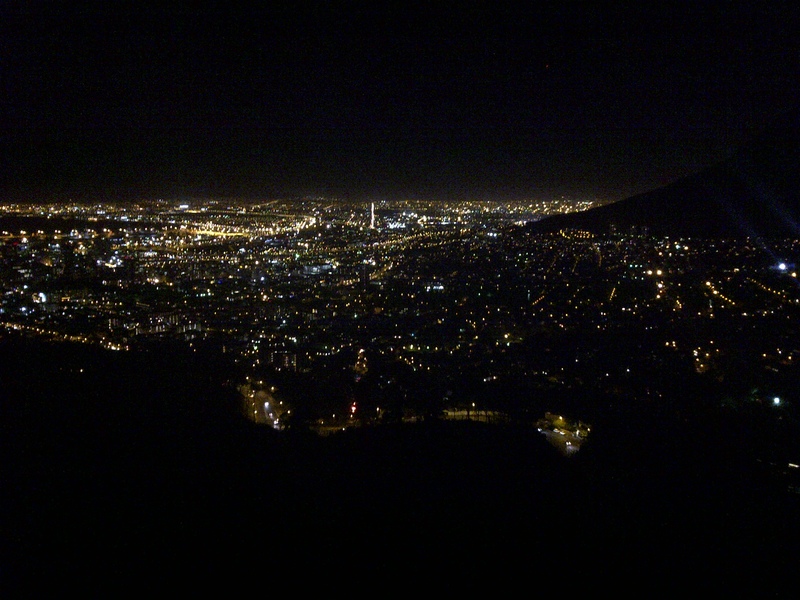 The city by night at the foot of Table Mountain. Hi Dianne, thank you so much for stopping by. 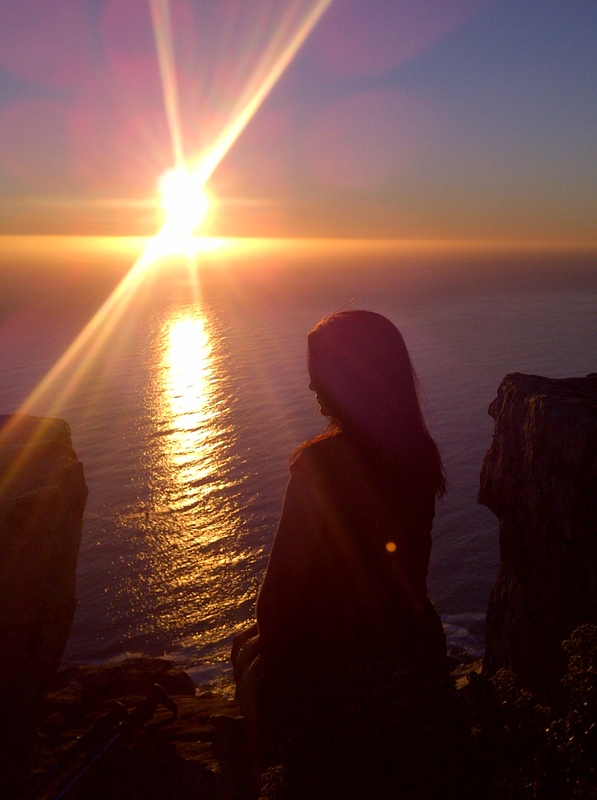 I am lovng the beauty that is your blog! 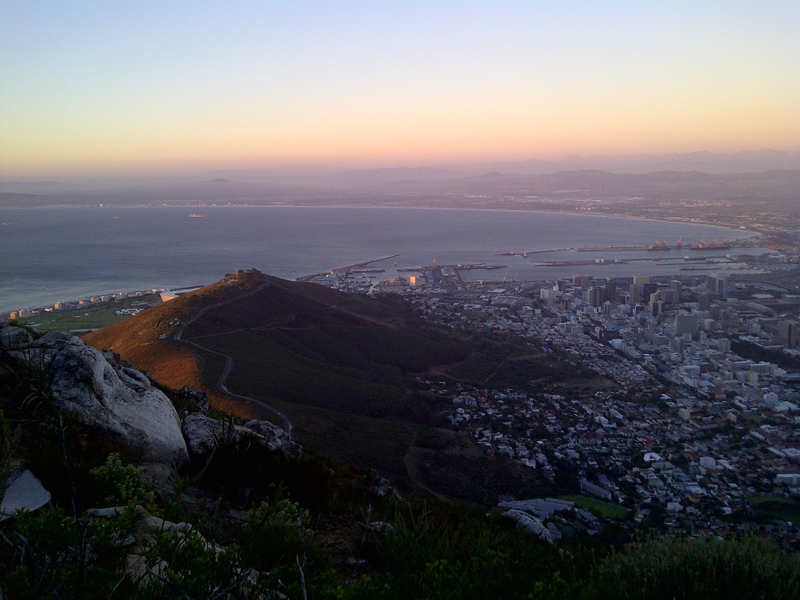 Glad you enjoyed my photo’s, I am very blessed to live in such a beautiful country and city!